Kurt McDonald, CHESS Operator, helps install a new hutch for Sector 2. The modular design of the hutches has allowed for quicker installation. 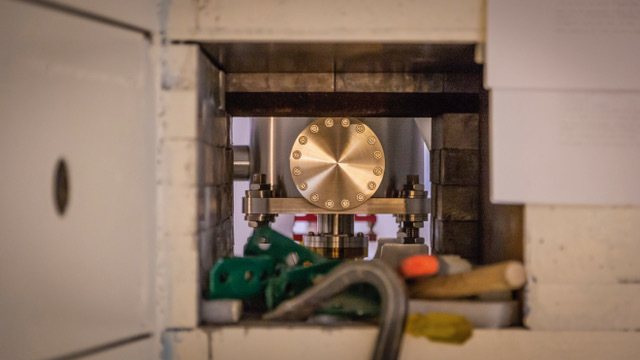 In early 2019, CHESS-U will have an increased energy of the electron beam, from 5.3 to 6.0 GeV, double the current from 100 to 200 mA, and reduction of the horizontal emittance of the x-ray beam from 100nm to 30nm. 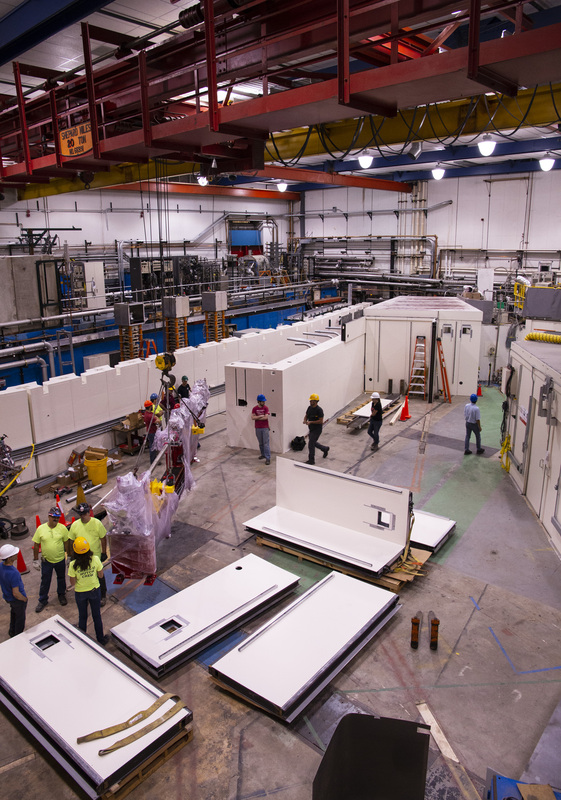 While these high energy x-rays will soon benefit researchers from around the world, new hutches are currently being built to contain and control the beam from the new undulator sources being installed. These hutches, or light-tight experimental rooms, will contain the x-rays by using multiple layers of lead for the walls and ceilings with additional shielding at the seams. The design and installation of these hutches has been carefully coordinated. As utilities, cables and HVAC systems start to enter each room, it is worth noting the clever design that was used in order to retain the radiation-tight rooms. While safety was definitely at the forefront of the engineers’ minds, the ability to streamline the installation process was deliberately considered, and has since proven useful to compensate for any unavoidable delays. To reduce construction downtime, CHESS engineers worked with ADC of Lansing, NY to create a process for the quickest on-site installation possible. To reach the tight deadlines of the project, the team implemented a highly-modular design consisting of a total of roughly 15 wall segments and 13 ceiling segments per hutch. Over the course of this summer, hutches were fully assembled at ADC and then shipped to Wilson Lab for installation. 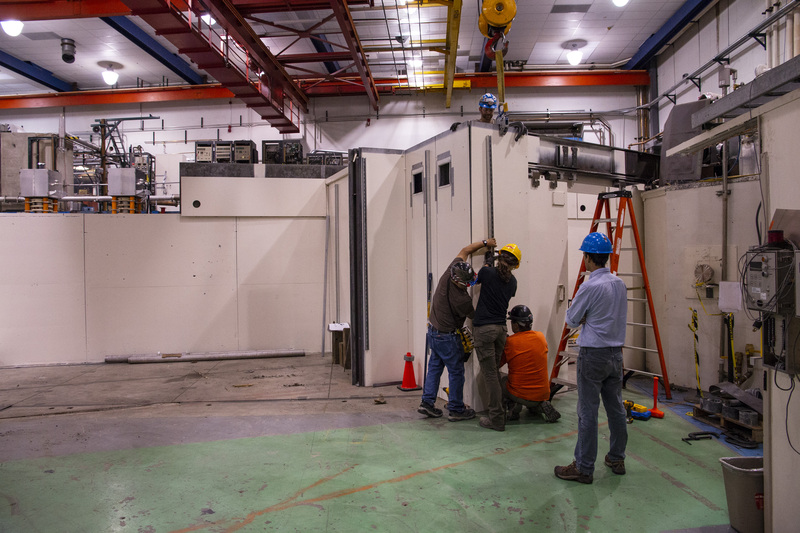 The pre-assembled wall portions wait to be installed in Wilson Lab. The team incorporated a design of “sandwiches” for the walls which are offset and overlapped at the seams, providing 100% lead shielding for any given straight-line path. The total lead shielding thickness for the CHESS hutches is split across an inside and outside layer, allowing for seams to be staggered and ensuring a full thickness of shielding along joints. This design also reduces the weight of each “sandwich” making them quicker and easier to handle during installation. The effort of the careful design has paid off. The “CHESS-U Hutch Crew” was able to install the last modular hutch over the course of two-evening shifts. This marks the completion of the installation of the modular hutches. However, there is still plenty of work for the installation crews, including more hutches. Unfortunately, the two remaining hutches might not be as easy as the modular versions. The last two hutches are to be built in place, as the location of the rooms restricts the access for modular construction. Thus, crews will spend the next few weeks building these two hutches that will complete the framework of the CHESS-U upgrade. 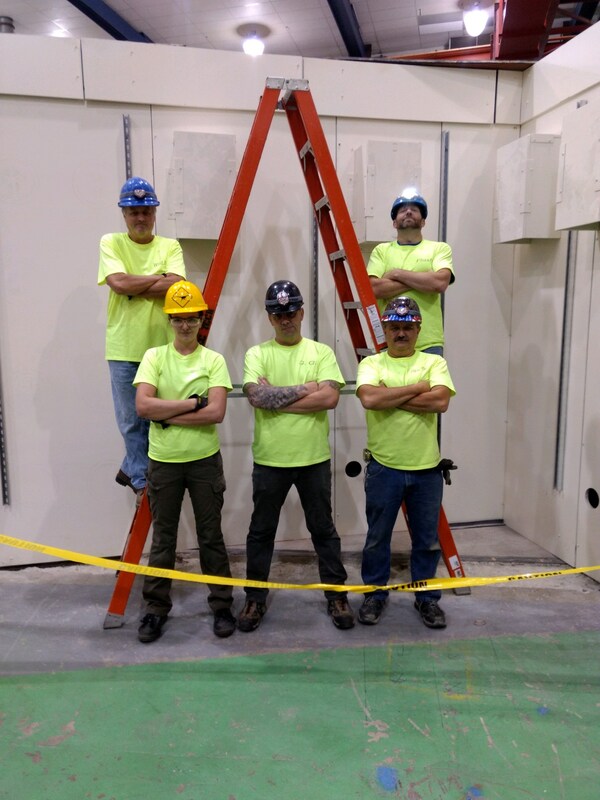 While construction is set for completion on November 1st, the teams are looking to establish a commissioning schedule for the new machine. Power, pumps and utilities will be turned on in the storage ring in November, with plans of commissioning the overall machine. This will be done in preparation for the fine-tuning of each of the new CHESS beamlines as they are completed. The newly-installed front end is seen through the shielding wall. The CHESS-U Hutch Crew assembles the modular hutches of Sector 2. 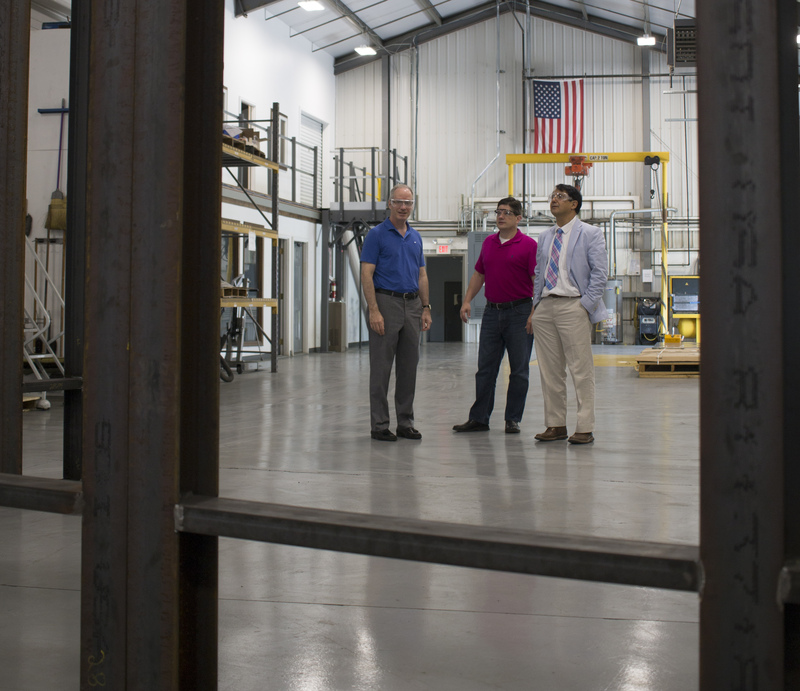 Joel Brock from CHESS, left, visits ADC in Lansing, NY to see the assembly of the hutches. Joel Brock from CHESS, center, visits ADC in Lansing, NY to see the assembly of the hutches. These lead panels are part of the walls of the hutch.